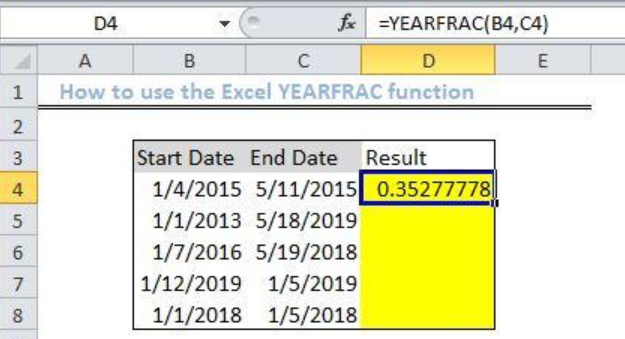 We can use the Excel YEARFRAC function to extract the number of days between two dates as a fraction of a specified year. We will work through the process of using this function in the simple steps below. We click again on Cell D4 and use the fill handle tool (a plus sign found at the base of Cell D4) to drag down the formula into the other cells. 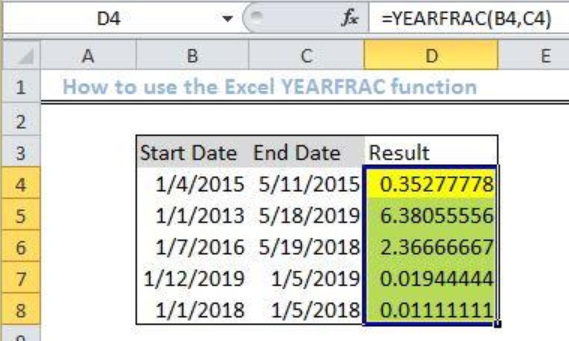 We use the YEARFRAC function to calculate the fractional year between two dates. 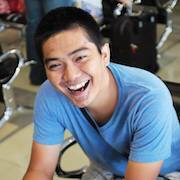 This function will return with the decimal value which is the fraction of a year between the two periods. We can also use this function to calculate birthdate, retirement dates, number of years between two particular dates, etc. 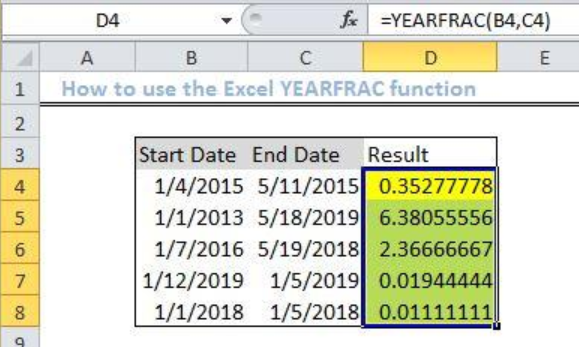 If the dates entered are returning with an error, check whether they are introduced as text and change your approach by entering them with the DATE() function. If your dates are not valid, then you will have the #VALUE! Error. If basis>0 or if basis <4 then YEARFRAC function will return error #NUM!